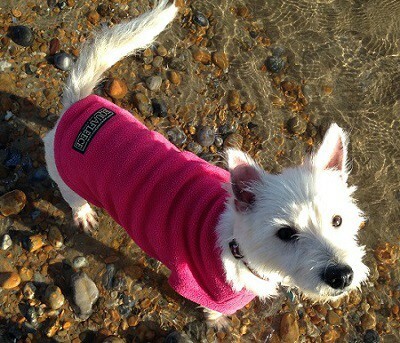 Penny is a young female West Highland Terrier, almost 3 years old at the time of writing. Penny had an untreated flea allergy which left her skin very sore and she has lost quite a bit of her fur, but this is now being treated and is coming along well, but in these cases it takes a little time before the coat recovers fully. She was a bit underweight when she arrived but now has a great zest for life and loves her food. Penny is a very smart dog and people-oriented. She gets on well when meeting and greeting other dogs and is learning how to behave walking on a lead. Her recall is good too, but she will need to continue her training with her new owners, who will need to be around most of the time. In a home setting, Penny gets on well with calm dogs who can take the lead. She could go to a home with experienced owners who already have a confident dog, and also a home where she would be the only dog. However, she would be better suited to a home without children, though a older (more mature and understanding) teenagers may be considered. Penny eats and sleeps well in the home and would make a super companion. She is still a young dog, so she’ll need plenty of opportunity for outdoor exercise. Penny is house-trained. Before being allowed to leave, Penny will be neutered, as well as being vaccinated, micro chipped and up to date with flea and worming treatments. She is currently on foster near Hastings, East Sussex. For further details regarding dogs available from Pro Dogs Direct please contact us by email or visit our website to complete an online application form. All potential adopters are home-checked and set donation apply for all dogs. If you are interested in giving a new home to Penny, please get in touch with the owners-keepers today. 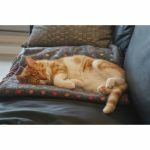 Pets can be listed for adoption by private individuals, animal charities or voluntary groups, and each will have different contact preferences and adoption procedures.